Witchcraft and paganism have increased significantly among the US millennials, as Christianity declines. 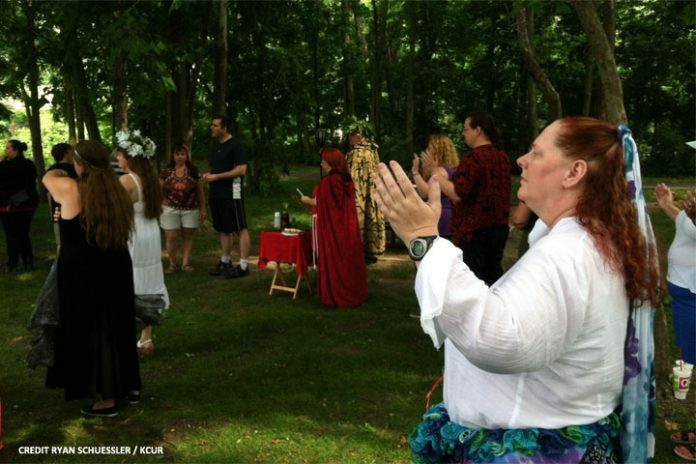 There are approximately 1.5 Million Americans who identify as Wicca or Pagan, more than the number of Presbyterians [Christian Post]. The upward trend is evident in the spike of mystic shops across the US and online. The beauty trend ‘Wicca make-up‘ and the growing trend of fashion and brands that adopts witchcraft elements have gained loyal following the past few years. Movies are laced with the subliminal messages that show witchcraft is cool, powerful, and practical. Consider the many movies that have come up through the decades. It began in the mid-1960s with the TV sitcom ‘Bewitched’ starring the Elizabeth Montgomery. She made casting spells looked fun. It as quickly followed by the children’s cartoon ‘Sabrina the Teenage Witch’ in the 1970s. In the 1980s, the Witches of Eastwick starring Michelle Pfeiffer, Susan Randon, and Cher ushered witcraft as glamorous and useful. Although Hocus Pocus (1993) starring Bette Midler will be considered by viewers as a cult classic, the movies Craft (1993) and Practical Magic (1998) starring Sandra Bullock and Nicole Kidman will be considered timeless. Keep in mind that witchcraft is not only condemned in the Bible but anyone suspected of doing this magic is burnt at the stake during the middle ages. A far cry to how witches are viewed today. Sealing the protagonist image of witchery is Harry Potter in 2001. Since then, there really is no need to convince people what witches and warlocks typify. Harry made it perfectly clear that this dark art can be good. Point is? Since our kids will find it difficult not to see these movies, we must be vigilant in keeping them informed, that these type of depiction is a lie. Netflix’s #OUAT was released in 2011, but have survived a continuing season in 2018 with 156 episodes. It is considered as the longest running series which targets teen viewers (Post Millennial – Generation Z), with the most number of episodes. It depicts bad witches and warlocks who in the end becomes good people. Prominent in the series are ‘portals,’ which has been appearing in several Hollywood movies lately.